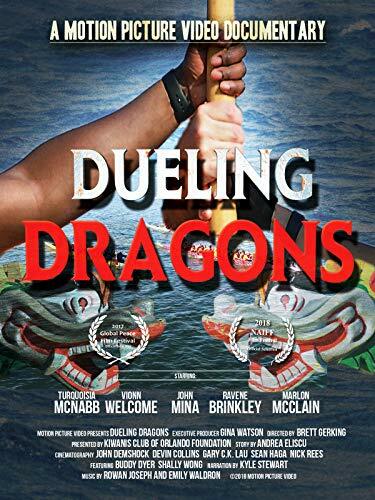 Dueling Dragons is a journey into the world of Dragon Boat Racing with the world's most unusual team. From Walt Disney World to Toronto, Canada-this film explores this ancient sport and introduces you to Orlando Florida Cops and Inner City kids that are making it real. With Orlando Mayor Buddy Dyer and OPD Chief John Mina. Featuring Vionne Welcome, Shally Wong, Turqosia McNAbb and Debra Clayton.